During the first half of 2016, the San Joaquin Joint Powers Authority (SJJPA) successfully deployed the 7th daily round trip of the Amtrak San Joaquins. This was the first additional round trip added between Oakland and Bakersfield in more than two decades. SJJPA is now focusing on grassroots marketing of the service to increase ridership and continuing its efforts to improve and expand the Amtrak San Joaquins. On March 25, 2016, the Partnership submitted a letter of support to the California Department of Transportation (CDT) and SJJPA in support of SJJPA’s Transit and Intercity Rail Capital Program (TIRCP) grant application for 2016. SJJPA submitted its TIRCP application to CDT on April 5, 2016. 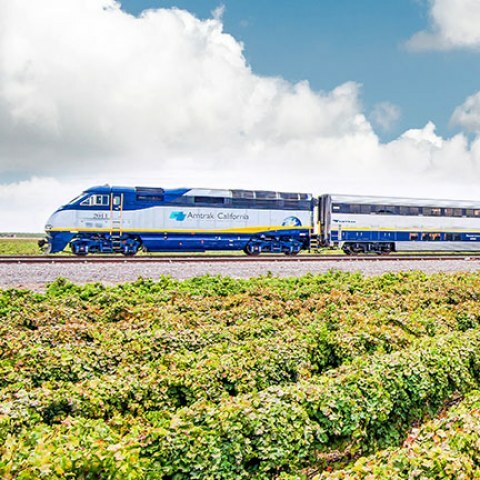 SJJPA applied for funding from the TIRCP to increase service, ridership and performance of the San Joaquin intercity passenger rail service: $142 million in improvements; $59.5 million for equipment; and $0.5 million in funding for the Optimization Study. The main components of the application were: Capacity Improvement Projects, Additional Rolling Stock, Additional Station Parking, a Potential New Station at Oakley, and the Optimization Study. Unfortunately, SJJPA was not successful in getting an award for this grant application. The Optimization Study (study), a small but important part of the SJJPA TIRCP application, was funded through the grant awarded to the Capitol Corridor. SJJPA and Capitol Corridor jointly developed the scope of this study and will work together with the state on this effort. The study will help identify the improvements needed for future Amtrak San Joaquins expansion and may reduce the amount of equipment needed for current and expanded operations. It is expected the study will help develop a revised San Joaquins schedule which can provide more reliable on-time performance by reducing delays from freight trains and potentially enable reducing San Joaquins travel times. SJJPA did not submit any other grant applications during the first half of 2016. SJJPA approved its Marketing and Outreach Plan (plan) at the November 2015 SJJPA Board Meeting. The plan for the Amtrak San Joaquins focuses on grassroots, community-based outreach and marketing. At the January 2016 and March 2016 SJJPA board meetings, members approved contracts for Outreach and Marketing, Advertising, Graphics/Printing for the Sacramento Region, Bay Area, Northern San Joaquin Valley, Central San Joaquin Valley, and Kern County. During the first half of 2016, SJJPA focused on initiating grassroots marketing and outreach throughout the San Joaquin Valley as well as an advertising campaign for the deployment of the 7th daily round trip. The 7th daily round trip was deployed on June 20, 2016. SJJPA will engage the Partnership to assist in the grassroots marketing and outreach of the Amtrak San Joaquins beginning in the fourth quarter of 2016.